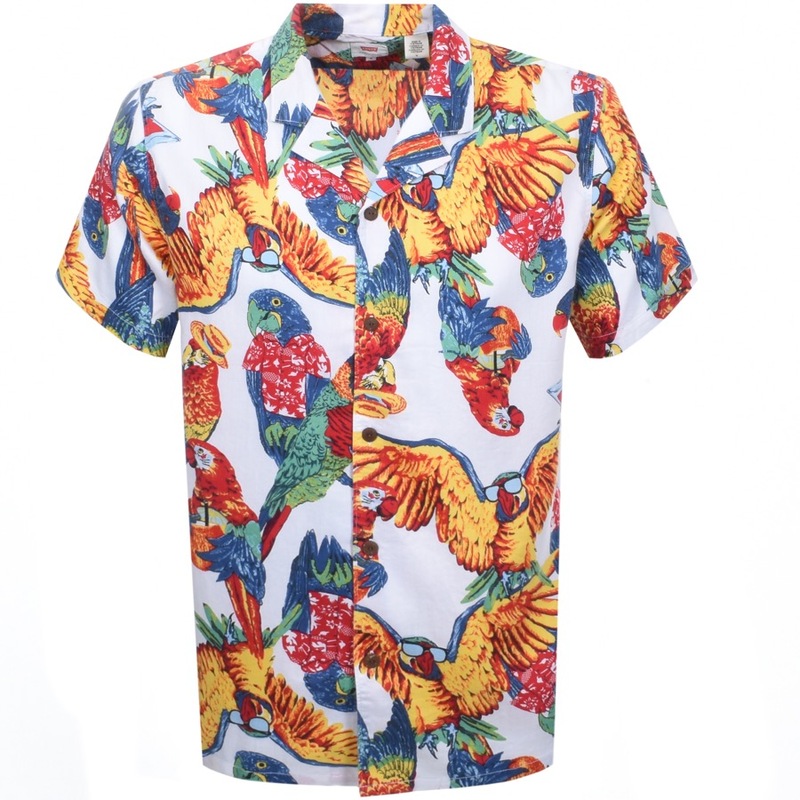 Levis Short Sleeved Cubano Parrot Shirt In White, An all over printed parrot design in blue, green, yellow, red, white and black. A full front brown button fastening with a relaxed shirt collar and short sleeves. The signature woven Levis logo pinch tag is situated in the lower left side seam in white and black. Top stitch detail on all the seams in white. 68% Lyocell And 32% Cotton. Brand New Stockist Of The Brand New Range Of Levis Shirts Live Online.